(At first sorry for my english) I was working on text using illustrator cc which have one fill with gradient and a stroke. For more editing i export it in cs6 for firework which can help me with more editing option for photoshop, then i saved it as psd mode but when i open it in as photoshop psd file it became raster with no editable independent. My actual question is it possible to save text with all layer style from illustrator and then edit in photoshop as text with all style ? i also tried direct exporting from illustrator to photoshop! But it's not working. 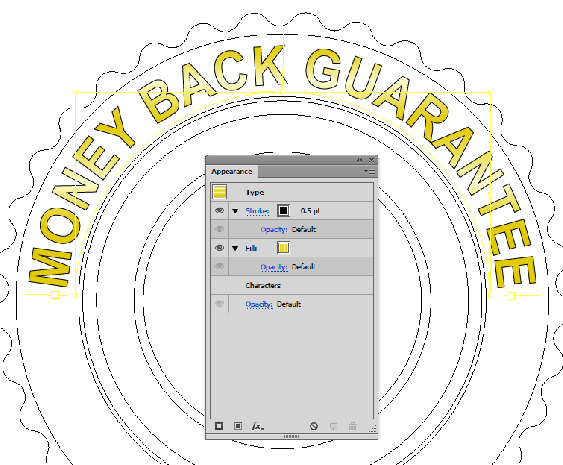 This process of exporting your design to Photoshop with layers in tact is pretty straight forward, however the real issue is your not being able to export from Illustrator to Photoshop. You're problem stems from routing your file through Fireworks. 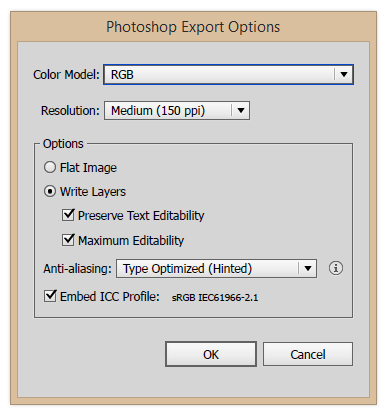 In Illustrator, from the "File" menu select "Export". A "save" window will appear and select "Photoshop .psd" from the "Format" dropdown button below the file name. If you slect the buttons as shown in the linked image, you'll have no problem editing text or shapes in Photoshop. You mentioned not being able to export to Photoshop from Illustrator. To resolve this I would contact Adobe Tech Support. Not the answer you're looking for? 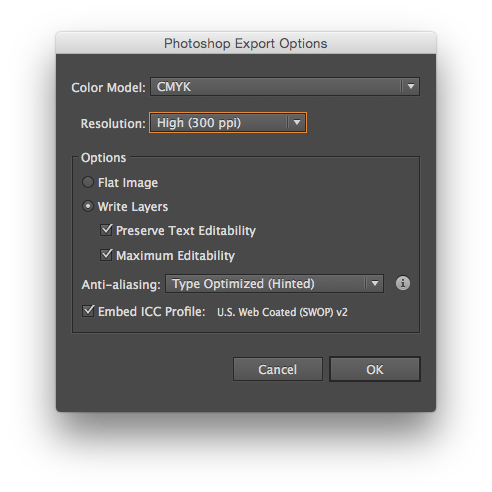 Browse other questions tagged adobe-photoshop adobe-illustrator text export layer-style or ask your own question. Is there a way to convert from Illustrator to Photoshop and maintain things like text, lines, arrows as editable? How can I get working the script “export photoshop layer to svg” (from HackingUI)? How do I make a curved text logo with dotted abbreviatures correctly?